Charles (Chuck) M. Thompson III peacefully slipped away on April 13, 2019 after a long, valiant battle with cancer surrounded by the love of his family. 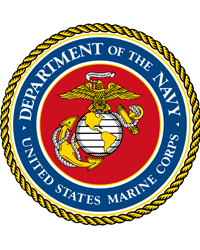 He had attended Brainerd High School (Class of ’68), Chattanooga State Community College, and was a Marine in Vietnam with several citations including the Distinguished Service Medal. Chuck would want to be remembered most for the love he shared with his family. He was all about spending time with the love of his life and spouse, Christopher Simpson, daughters Allison Thompson-Fike (Roger) and Carrie McCary (Ben); grandchildren Lillian McCary and Elliott McCary: sister MelodieThompson: and grand puppy, Dexter. He is also survived by his good friend, Pete O’Dell. The family will have a private memorial service for friends and family in the near future. In lieu of flowers, please make memorial donations to the Wounded Warriors Project or St. Jude Children’s Hospital as these were dear to his heart. Visit www.heritagechattanooga.com to share condolences to Chuck’s family. Arrangements are by Heritage Funeral Home and Cremation Services, 7454 E. Brainerd Road.